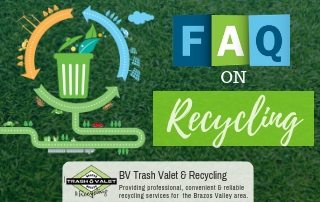 Even when faced with all the benefits trash and recycling services in College Station, TX could bring, there’s still may be some more old-fashioned holdouts that believe recycling is a waste of time and energy. If you live or work with one or more of these types of people, you may consider it an important task to convince them that recycling is an important thing to do for the environment and the entire world. The people who are not interested in recycling have three main arguments against it: they don’t want to be bothered, they think it will somehow cost them money that they do not want to spend or they don’t think it will do enough or any good anyway. 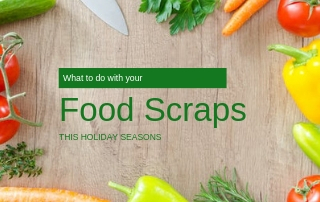 These three ideas against the recycle way of life can be countered easily with the facts. Recycling takes too much time and energy. If this is the argument against adopting or utilizing a reduce, reuse and recycle methodology at home or in the workplace, you can simply point out that the only effort the individual has to make this dropping their empty soda can in a green bucket instead of the usual black trashcan right next to it. The vast majority of people do not gather up a lot of mixed garbage at once and then go to throw it in the can. In a house or office, you may pick up one or two items and throw them out at the same time. If the recycling can is adjacent to the trashcan there is no extra time or energy expended at all. Recycling costs too much to get involved with. 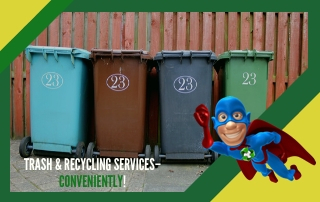 Although there might be an extra charge for recycling pickup, this is such a small amount that can easily fit into any home or business as budgets without a problem. 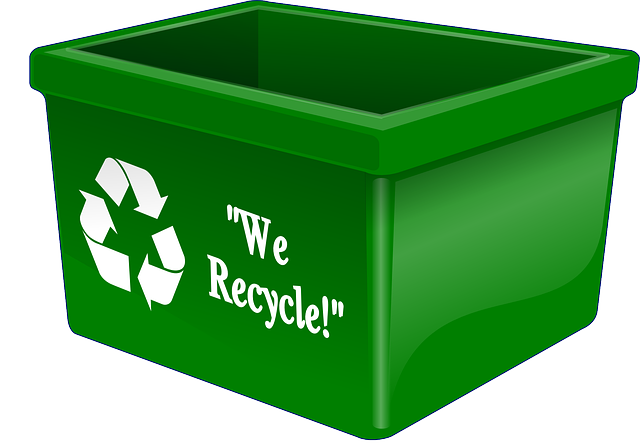 Many people who are against recycling believe they will also need to buy new expensive recycling buckets and other materials. 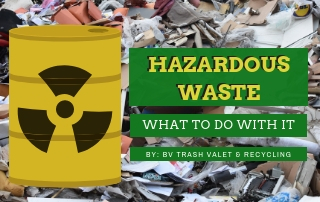 Not only is the entire process extremely cost-effective for homeowners and business owners alike, people who pay for bulk garbage pickup at a place of business can actually save money because their garbage skip will be lighter after recycling. What good will recycling do anyway? 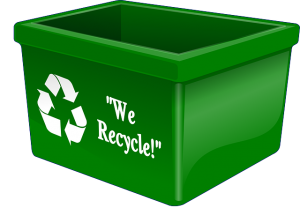 The recent to recycle materials all comes down to preventing garbage from sitting in landfills, falling off barges into the water and otherwise negatively affecting our environment. Although an individual may feel like their efforts would be just a drop in such a large bucket is to make no difference whatsoever, this is actually not true. 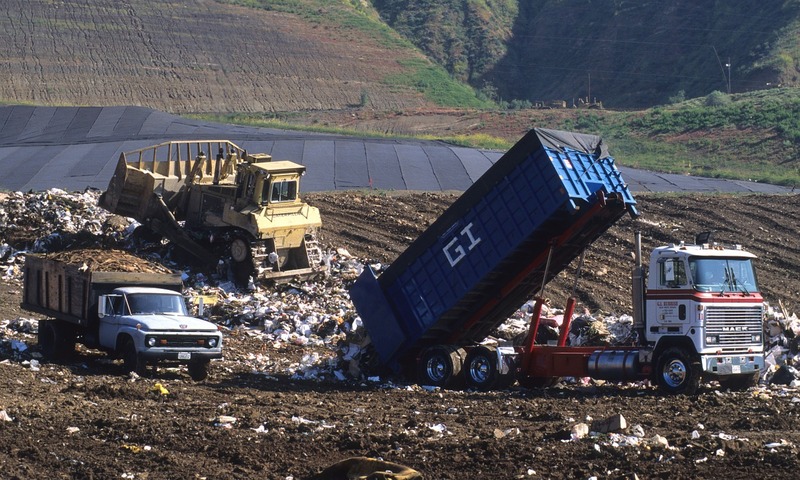 According to the Environmental Protection Agency, up to 75% of all consumer waste can be recycled, but only 30% actually is. They also share statistics about what individual recycled objects translate into. For example, one soda can be recycled to create the energy power television for three hours. A 3 foot high pile of newsprint means that one less tree will have to be cut down to make paper. Ideally every single person who creates waste on earth should recycle everything they can. Although this green utopia is unrealistic, that does not mean every individual doesn’t have responsibility to recycle all they can.